Kaine has made similar claims on at least eight occasions between Oct. 10 and Nov. 2. But in many other cases, Kaine misleadingly claimed Pence currently says climate change is a myth. However, Pence has acknowledged — on at least one occasion — that humans are affecting the climate. More recently, Trump’s campaign manager, Kellyanne Conway told CNN’s Alisyn Camerota on Sept. 27 that Trump believes that “global warming” and “climate change” are “naturally occurring” and not man-made. 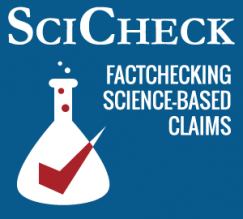 When we asked Hillary Clinton’s campaign for evidence more recent than 2000 to back-up Kaine’s claim, spokesperson Josh Schwerin pointed us to other past instances where Pence has questioned the validity of climate change — the most recent instance occurring in 2014. We’ve addressed all three of Pence’s claims before. Second, in March 2016 and November 2015, we addressed Rep. Lamar Smith’s claim that data show there’s been a “halt” in global warming — it’s false. Some research has found that there’s been a warming “slowdown,” and other research suggested there hasn’t been. Still, no research supports “a halt in global warming,” as we wrote. Third, we wrote about the “global cooling” myth in March 2015, when Cruz cited an article on the topic published in Newsweek in 1975. That article did warn of “ominous signs” of a “cooling world,” but it has been criticized since then – including by its author, Peter Gwynne. The fact is, there was no scientific consensus in the 1970s about global cooling when Gwynne wrote his story in 1975, but today there is scientific consensus that human-caused climate change is real. Regardless of Pence’s past remarks, he more recently has admitted that humans play a role in climate change. However, Pence and his running mate have outlined no policies designed to specifically address climate change, and, in fact, the GOP ticket would undo steps President Obama has taken to reduce carbon emissions.